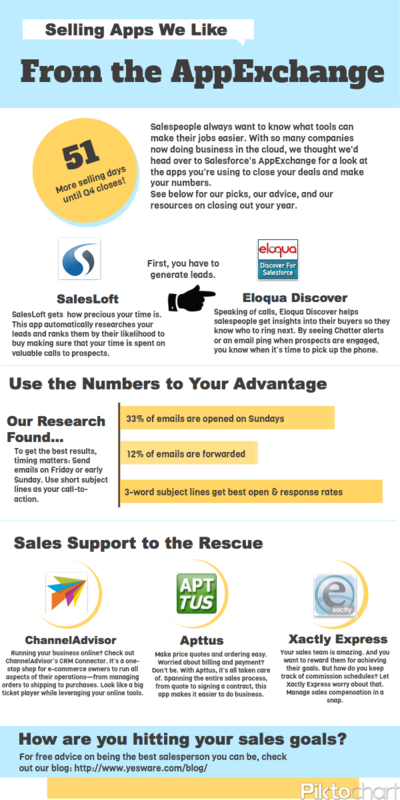 With just 51 days left until the end of fiscal 2012, salespeople can use all the help they can get when it comes to closing the deal. With that in mind, we headed over to the Salesforce App Exchange, for a look at some of the best sales apps for companies of all sizes. From lead generation to incentivizing your sales team, from sending out a quote to getting paid—no matter what you’re selling, these tools can help you close out your quarter and your year.